Thanks to its imagination, costume designer, boldness and skillfulness W. W. Young film direction "Alice In Wonderland" is the best film adaptation of the Carroll's novel. It's a special delicacy: an early silent film masterpiece that every silent film fan shouldn't miss. 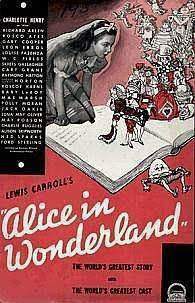 novel "Alice's Adventures in Wonderland"